Rochelle Kiem and Silas Fry were a couple, but they drifted apart and went their separate ways. Years later Silas moves to Pinecraft, FL to make a fresh start with his two children. Pinecraft is also where Rochelle is living with her two nieces and running a successful cleaning business. The two try to forget the past and build a friendship based on their current lives. Will they be able to succeed? Will friendship lead to more? I liked the storyline of this book and thought it would be a really interesting read. However, something just fell flat and I didn’t enjoy the book like I thought I would. I liked learning of Silas and Rochelle’s past through the flashbacks. I liked the characters of the book and thought they were well developed. What was it that fell flat then? I didn’t feel like I was reading an Amish fiction book. 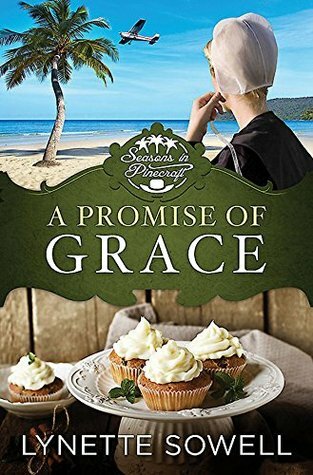 The characters range from Old Order Amish to Mennonite but could have been anyone. It was too easy to forget they were Amish/Mennonite. I almost felt like the Amish aspect was added in to sell more copies of the book. Even the book being set in Pinecraft didn’t seem as authentic as in other Amish fiction books I’ve read. This book was an ok read as I did enjoy the storyline. This was a nice story about love lost and perhaps regained. I received a free copy of this book from Netgalley in exchange for my honest opinions which I have given. Another wonderful Christmas story from Vannetta Chapman. 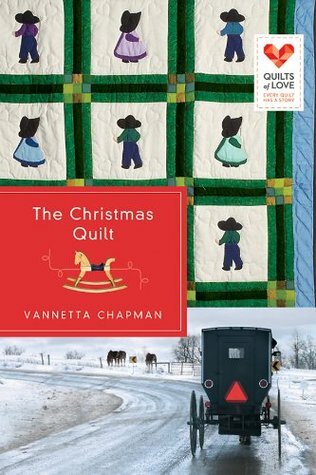 The Christmas Quilt takes us back to visit with the characters from A Simple Amish Christmas. It was so fun to go back and visit these people again and see what was going on in their lives. This book had a wonderful storyline that made it easy to read. Once I started reading I just didn’t want to put the book down until I had read the last word. Vannetta has a way of getting readers in the Christmas mood with her stories and writing. 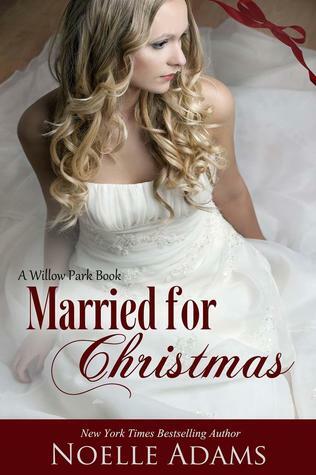 If you are a fan of Christmas or Amish fiction this book is a must read. Three charming stories of the residents of Decatur, Illinois, who came together to meet the medical trains during the civil war. 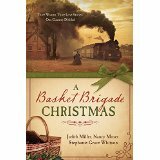 The stories main characters are women that became involved with The Basket Brigade which is a group of ladies that provided food, treats and comfort to the soldiers. They were well written stories and one of the many aspects I enjoyed was that the stories were interwoven. I liked the fact that I could continue to see how the characters still had a presence in the towns selfless caring of the soldiers. The authors were all new to me, but I’d certainly read more of their work as they took such care to being authentic to the time period, even to the recipes that are included. I received this book from Netgalley in exchange for an honest. This was the third book in the series by Melissa Jagears and in my opinion was easily a stand alone novel. Having said that, I enjoyed the story of Silas and Katie and the little boy named Anthony that they both love so much. Each of the three characters have been through some very difficult and trying times in their lives, and I felt empathy for them. I was initially drawn to the book because of the mail order bride storyline, but I was pleasantly surprised by the twists and turns that transpired to take this book on a different path. Anthony drew me in from the very beginning with the life he’s lived and his propensity to run away. He needed love, compassion and a family to protect him. This story is all about love, faith and trust. This book was given to me by Bethany House in exchange for my honest review. This book was my introduction to Murry Pura. To be completely honest, I didn’t pay attention to the author’s name and had no idea that the book was written by a man until the end. Before reading this book, I had only read Amish fiction written by women. Murray won me over with this book. His writing style is wonderful and he gently pulls you into the story and keeps you there until the last word. This book was wonderfully written and realistic. The characters are genuine and complex. They have problems and aren’t living the perfect stress-free life so many people think the Amish live. 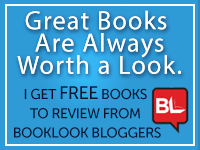 The storyline of this book was different from any I had read in the Amish fiction genre. I found this unique and refreshing. It added to the authenticity of the characters are made for a wonderful read. In fact, there is a lot packed into this 146-page book but it is so well written that I finished the book quickly. This book will leave you with a happy heart. 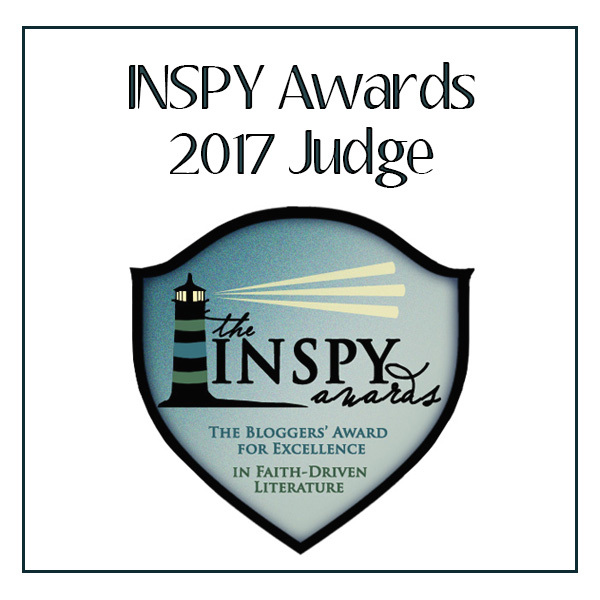 I recommend it to anyone who enjoys Amish fiction. Daniel wants to be the pastor at his childhood church. They want someone who is married. Jessica wants a husband and family. It only makes sense for the two of them to get married so they can both get what they want. There is only one problem and that is Daniel is a widower and has said he won’t fall in love again. Their marriage will not be one based on love. Jessica thinks she can handle this so agrees. After getting married though Jessica wonders if she can live in a loveless marriage. Can they truly live as husband and wife if there is no love? This was a fast-paced, predictable read. I liked the story line, even though you can probably guess what will happen between the two. The story is a sweet romance and is easy to get into and stay interested in from beginning to end. This was an easy read as it only took hours to finish. There are several grammatical/spelling errors, but they are not too distracting. However, these did bring down the rating I gave the book. The author starts out with a note that this is not a spiritual book but rather a book about spiritual people. I found this note to be accurate as there are a few tastefully done love scenes. Overall I really enjoyed reading this book. It is a quick, easy weekend read. At 290 pages, I thought this book might take a bit of time to read but oh how I was wrong. I was quickly immersed in the story and the pages practically turned themselves making this book a quick read. As in all of Vanetta Chapman’s books, the character development is fantastic. I soon forgot these were fictional people I was reading about. The characters in this book soon became friends to me and I couldn’t wait to see what happened to them. I enjoyed the storyline of this book. I found it to be as well developed as the characters and made the book a joy to read. 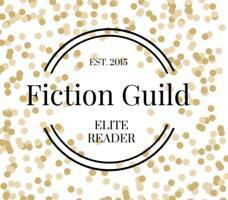 Whether you are a fan of Amish fiction or not, take time out to read this wonderful Christmas story. You’ll be glad you did!